How can we use design thinking to make changes, innovate and solve problems? Marco van Hout talks about the local and global challenges that we can solve together on using design. Marco van Hout (The Netherlands) is Head of Programmes & Impact of the Digital Society School, part of the Amsterdam University of Applied Sciences. 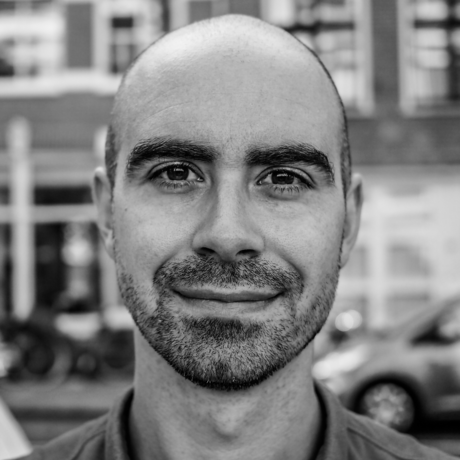 He is Lead Design at MediaLAB Amsterdam, a co-founder of SusaGroup and has been a board member of the international Design & Emotion Society between 2005 and 2017. After initiating the widely used Design Method Toolkit, Marco is on a mission to improve the impact of the creative community on the world’s biggest challenges. As part of this mission, he was one of the founders of the international programmes ‘Design Across Cultures’ and the ‘Global Goals Jam’, in close collaboration with the United Nations Development Programme. Since 2004, Marco has been a known advocate of ‘emotion- and experience-driven design’. Marco sits in the advisory board of Spanish creative agency DOT. He is a design faculty member at IE University (Madrid) and lives in a small Dutch town with his family where he occasionally picks up abstract painting.